I've been spending some time redoing art assets for the game. 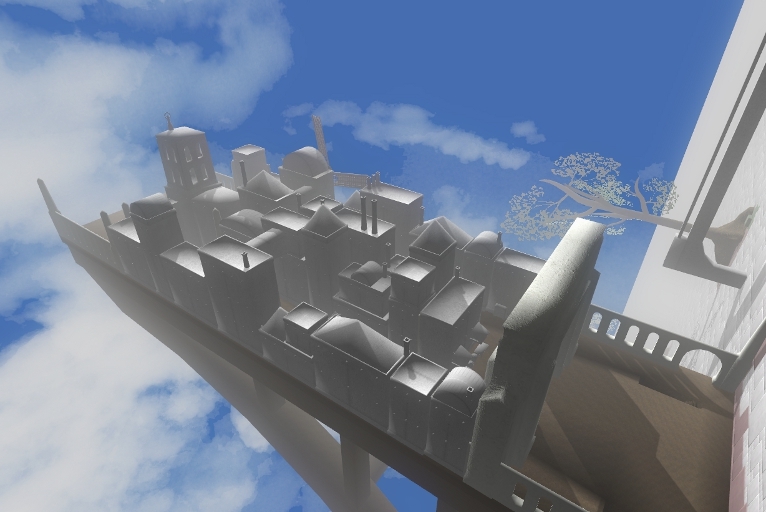 The above picture is a new version of the first city of the game (without final textures). The city has the same two straightforward paths, but I've created some paths for people who wish to wander the rooftops. It's pretty much an optional maze. Will hide a few easter eggs in there. 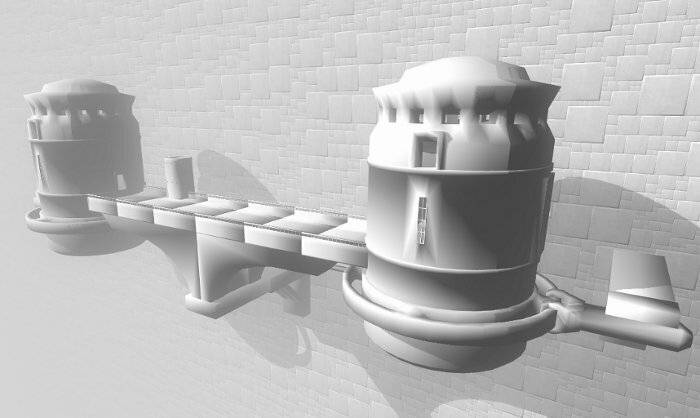 Everything is grey because, well, I hate texturing. I'll need to find someone to handle that aspect of the game's development. I'm still looking for artists, though I need someone who can devote quite a bit of time to the project. Meanwhile, I will keep on handling the actual model creation. I'm going to GDC in the coming week, which will be a ton of fun. Perhaps I'll meet some artists there as well. That's it for now! I'll smooth them and texture them for free!